Chinese vendor SIMCom led in volumes while Canadian vendor Sierra Wireless led by value as the global cellular module shipments were up 35% YoY. Moving forward, 4G, LTE-M and NB-IoT will be key volume drivers. According to the latest research from Counterpoint’s IoT (Internet of Things) service, global cellular IoT module shipments grew 35 % annually. Adding his perspective, Research Director, Peter Richardson, noted, “According to our research, cellular IoT connections crossed half a billion subscriptions in 1H 2017. It took a decade for our industry to reach half a billion IoT connections, however, the next half a billion milestone will reach in less than a fourth of the time it took earlier. This will drive the demand for cellular IoT modules, especially LPWA modules for low power applications and 4G /5G capable modules for data driven applications such as connected cars. Mr Richardson, further adds, “While, the global operators will mainly drive cellular deployments, competitive forces from proprietary non-cellular LPWA networks such as SigFox, LoRaWAN and others will find traction in ultra-low power, low-cost and low-scale deployments. We could see hybrid strategy of cellular+non-cellular IoT deployments from operators segmented based on types and scale of IoT applications to bear fruit in next couple of years”. Chief Executive of Link Labs, Bob Proctor added, “Cellular IoT is also getting traction in asset tracking, often coupled with Bluetooth in delivery vehicles or factory-floor systems. Generally speaking, you have to be able to work with many technologies”. 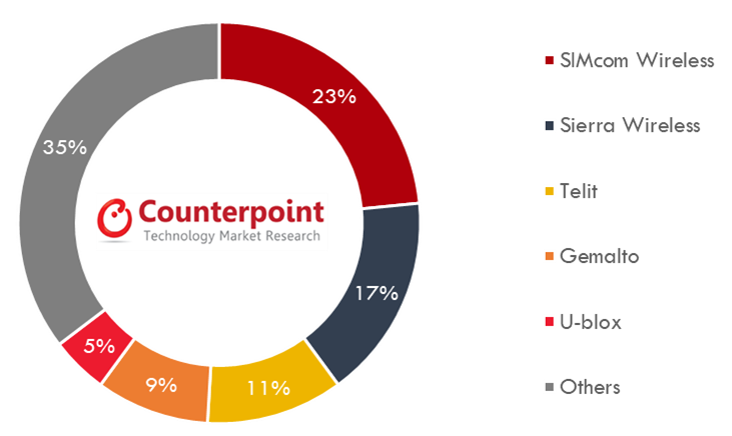 The cellular IoT module market is dominated by top five brands contributing two-thirds of the cellular module volume shipments and 85% of the revenues. 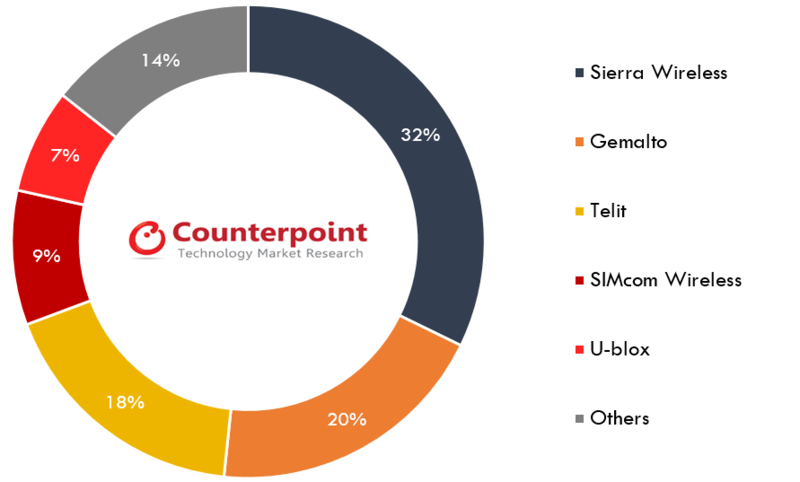 Counterpoint Technology Market Research is a global research firm specializing in Technology products in the TMT industry. It services major technology firms and financial firms with a mix of monthly reports, customized projects and detailed analysis of the mobile and technology markets. Its key analysts are experts in the industry with an average tenure of 13 years in the high-tech industry. 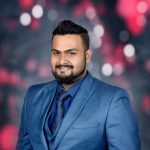 Satyajit Sinha is a Research Analyst with Counterpoint Technology Market Research, dedicated to IoT, Mobility, and Cybersecurity. Satyajit has 4+ years in Information technology industry. Prior to joining Counterpoint Research, Satyajit was an Equity Research Analyst.